I am providing you with another experience from my sister Cindy, as she cared for our mother and father in their last days. I remember several trips to the hospital during those years for both our parents. Cindy shares with us here how important it is to be present at those times whenever possible to be a patient advocate. As a caregiver it is important to be your patient’s advocate when they are admitted to a facility for rehab or hospitalization. No one knows your patient like you do. In the early part of my father’s illness, he had an emergency issue and had to be rushed by ambulance to the small rural hospital in our area. I felt sure he was in good hands and would be well cared for with no worries on my part. This would also provide me a short respite prior to joining him at the hospital. A few hours into his admission process, I received a call to tell me they were rushing him to surgery. Apparently the ER staff had not noted that he had a partial plate upon assessment and he apparently had swallowed his dental work as he lay in his exam room. Luckily, the surgeon was able to quickly remove his plate with tongs without having to do surgery. That was the last time that I failed to follow my father immediately to the ER to be with him throughout the admission process and advocate for his care. After this learning experience with my father, I remained close at hand when either of my parents entered a facility. My mother was admitted to a respiratory facility in Tennessee who specialized in weaning patients off the ventilator. After researching and obtaining help for my father who remained home, I made the trek from Virginia to Tennessee to monitor her care. She stayed there for several months and I was able to stay in her room on my trips down to Tennessee. They trained me to care for her tracheotomy needs so that I could eventually take her home. The staff was diligent about teaching me proper clean techniques. It was explained to me that suctioning her lungs was an easy way to introduce germs if it was not done correctly. I learned so much and was excited about taking her home but due to regulations we needed to have her admitted to a step-down unit before her return home. When we left Tennessee, the respiratory facility filled my car with her suction catheters, tubing, connectors, and I even had use of their oxygen equipment for the transfer. I stayed with her on admission to the new step-down to make sure everything was handled properly. This facility had just started taking tracheotomy patients and they were not prepared. Their oxygen equipment did not have the proper tubing connectors and I had to go to my car to retrieve the oxygen equipment that had been sent with me. The staff was not sure how to set up the system she needed so I was able to train them on the process. The first nurse who came in to suction my mother proceeded to complete the process and then stick the catheter in a cup of water. I asked her why she was saving it. She explained it was facility policy to reuse them. I explained that any germs in her lungs would just be reintroduced back into her lungs and that it was unacceptable to reuse suction catheters. I spent the day watching and correcting that nurse’s care. Soon after, we were able to discharge mother home and I was exhausted. This experience had been no respite for me. I realized that even though this particular step-down facility was not typical of the good in-patient care that my mother had previously received, the point still remained that I knew the most about my patient and it was vital that I was with her as much as possible to advocate for her. Upon returning home after our long months gone, it was so important to seek help from a local agency to help mother and me settle back into our daily activities of living. With help, we were in the best place possible. We were home! 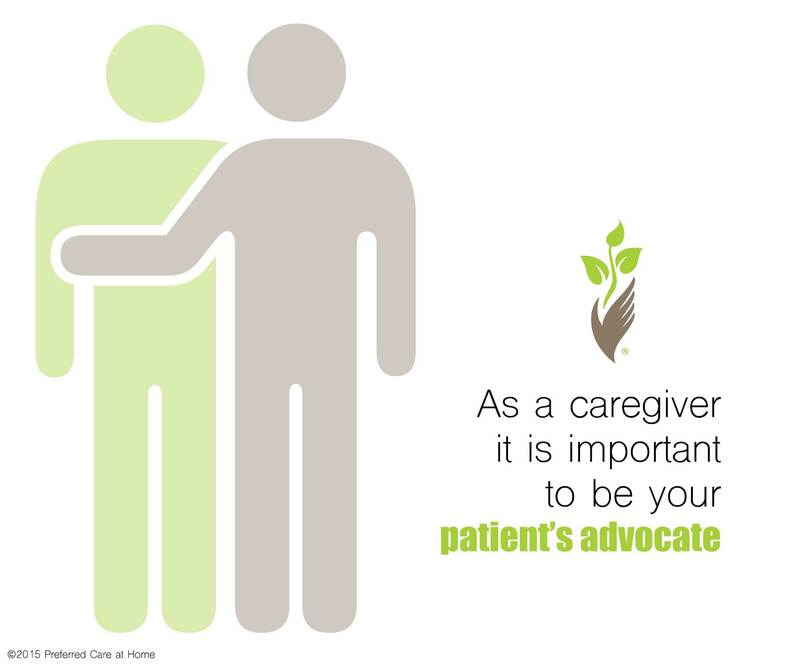 Remember as often you can, advocate for your patient and be their spokesperson. This will not only help your patient, but the staff working with your patient to give the best care possible.